DUE TO EXPECTED BAD WEATHER CONDITIONS THIS WEEKEND, THE EVENT HAS BEEN RESCHEDULE FOR FRIDAY 28th DEC. HOT Day Out is back and bigger than ever! Tickets to this event are limited and will be sold in phases on a first-come, first-served basis. Demand will be high for this special event and we encourage you to get your ticket early to avoid disappointment. 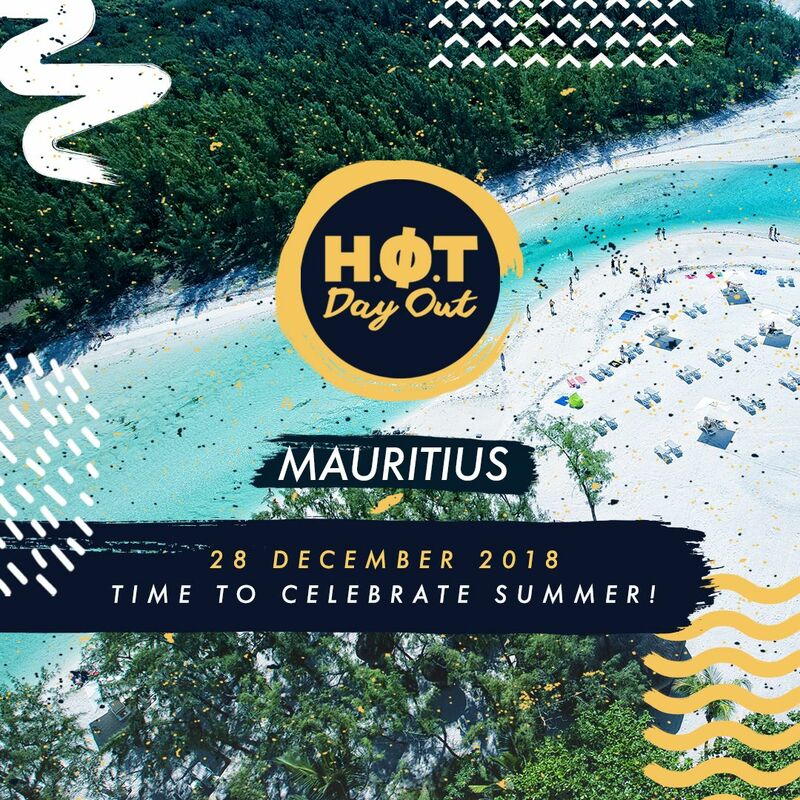 Enjoy all the features of H.O.T Day Out at the best price, including your boat ferry to and from the venue and access to the Main Stage, Main Bar, Gister Bar, Smirnoff Bar and Monster Beach Bar! Our VIP guests can enjoy an exclusive, decorated VIP Beach Club space in the best position of the festival, with 2 concept VIP cocktail bars and table service. VIP perks include priority access to the entrance, a welcome drink on arrival at the boat ferry and a special reserved dancefloor area with prime viewing of GoldFish. This beautifully decorated area will have photobooths and other surprises to be discovered. If you are looking for a premium experience, this is the place to be! Make use of a taxi, shuttle or drive to Île Aux Cerfs – Pointe Maurice. Google Maps link: https://goo.gl/maps/aHLw55xsMsH2 Secure parking is available for 200 cars on a first-come first-serve basis, but please do not drink and drive. At Pointe Maurice, your tickets will be scanned/purchased* at the entrance point, event wristband received and you will get on a 25 seater ferry boat for a 5 minute trip to the paradise of Île Aux Cerfs island. Wristbands are checked again on arrival. *Access by private boat is not recommended as the event ends at night. *Any other access to the island will also require a ticket. *We have extensive perimeter security of the event space for your security, and to ensure that no-one has access without a ticket. We have a 2nd ticket purchase/scanning point on the island. *Tickets will only be on sale at the gates if we have not sold out online. A fun outfit to enjoy the festival, swimming costume, sunglasses, sun cream! Disclaimer: Right of admission reserved. Participation in this event is entirely at own risk. The organizers and venue accept no responsibility whatsoever for injury, death, loss or damage of any nature to persons, vehicles or belongings, even in the case of negligence. Due care has been taken to make this event safe and secure. Tickets are non-refundable. There will be filming and photography taking place at the venue throughout the event: by entering you allow organizers to make use of and publish any footage taken on the day. Please keep close contact of your possessions. Please don’t drink and drive. H.O.T is excited to share a slice of paradise with you and your crew. See you at Île Aux Cerfs for an unforgettable day out!